the ingredients very well. And here comes the role of modern digital kitchen scale. Whether you are a foodie, dieter, or home cook, you need to add the exact amount of ingredients to get exact texture and flavor in your recipes. In that case, a good kitchen scale is an absolute must-have tool for every kitchen. Digital Kitchen Scales are now becoming very popular in India. They offer precise readings and are often viewed as more accurate and long-lasting than mechanical scales, which makes their presence more widespread among modern kitchens. There are basically three types of kitchen scales namely-Balance scales, Mechanical scales, and the most precise Digital scales. Balance Scales are the traditional ones which are now very rare and seem like a Seesaw. To weigh your ingredient on them, you need to position the weights on one arm and the ingredients at the other arm and then wait for them to balance. There is no need for a battery, and they are easy to use, but on the downside, they are not precise, and it can be very difficult to measure the ingredients in smaller amounts accurately. The second one is Mechanical Scales which are far more common – working with a spring that moves the dial to reflect the weight of the ingredients. There are some fabulous retro designs, and the weight capacity is often higher than other scales. There is no need for batteries either, but when it comes to measuring tiny amounts, these scales are not very precise. And now the most modern one Digital kitchen scales which use LCD displays. They are often very compact and are extremely precise in measuring, even including smaller amounts, and you can switch between different measurements too. But there is often limited weight capacity, and they do rely on batteries. u are using to put your ingredients. And then by pressing “Tare,” you can start at zero with each new ingredient you are weighing in the same bowl. Weight Conversions- Digital kitchen weighing scales simple do the conversions for you. With the single press of a button, you can convert the metric measurements and vice-versa. Ratio Baking or cooking- Digital kitchen scales are superb tools for cooking/baking by ratio and makes it a breeze. You can simply scale the ratio down to a single serving, or up for a large dinner party with ease. Precision- The modern digital kitchen scales are the best ones that give the precise and accurate measurement of the ingredients so that you can make a perfect dish every time. Measuring platform size should be big enough for your needs. Weight capacity for the scale is also very important to consider. Most of the best sellers go from 1 gram (or .1 oz) to 11 lbs. 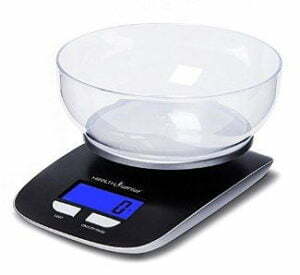 Want to purchase the best digital scale for all your weighing needs in the kitchen. Since it is a quite daunting task to choose the best one as there are countless brands of kitchen scales with different features available in the market. But which one is best for you? Considering the above points, customers review, product specification, designing, etc. 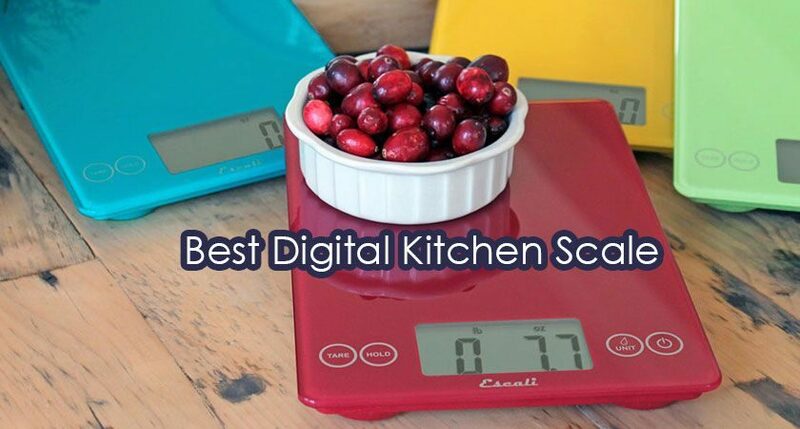 we have rounded-up here the 7 best digital kitchen scales from the best brands. So just go for your best pick. But before going through the full review of each model, let’s have a quick look at our best picks. This beautifully designed digital kitchen scale provides precision and accuracy to measure the ingredients. It serves for all of your cooking, baking, and household needs and utilizes leading industry technology with its high precision weight sensors. Featuring a charming Blue back-light LCD, it clearly displays your weights in mulple units. It comes with a multi-unit capability including pounds, ounces, grams & milliliters. The very best feature is its tare function. Means you can eliminate the weight of an empty container or ingredients for net weighing determination. 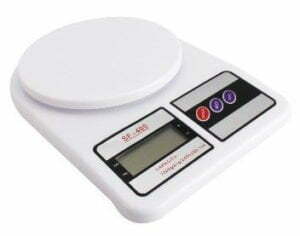 This weighing scale also comes with a weighing capacity up to 5Kg with the graduation of 1g that makes it perfect for baking, cooking, and many more utilities. This professional scale designed for kitchen, mail room or even your workshop will absolutely be your best choice with amazing features. Its ultra slim model will definitely add a great style to your kitchen. 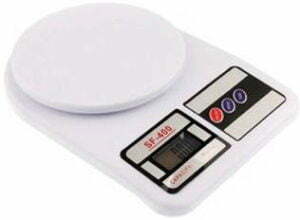 It is the only one digital kitchen scale in the market that measures not only the weight of food items but also the volume of water and milk. This kitchen scale has a great tare option feature that lets you weigh different ingredients in the same container. It comes with a splash-proof design that ensures accurate weighing even in humidity areas. This digital kitchen scale is battery operated and very easy to use. The Chef-Mate KS 50 digital kitchen scale from Healthsense is one of the best scales with the modern and stylish design and gives accurate weighing results every time. It comes with a brushed stainless steel platform so that you can clean it easily and also doesn’t allow scratches and fingerprints on it. Its blue back-light LCD clearly displays your weights in multiple units including pounds, ounces, grams & milliliters. When using a container etc. to weigh another object, you want to know the exact weight of the object without the container’s added weight. This model has a great tare function to accomplish just that. This chic and slim weighing scale is surely your best companion in the kitchen. 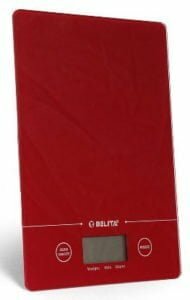 This weighing scale from Bulfyss is specially designed for weighing kitchen products. It can come in very handy for your everyday kitchen needs. It comes with an LCD using which one can easily read the measurements. Tare option is also provided in this weighing scale that you can use to measure the different items in the same container. This device can withstand at any temperature, pressure, etc. It is equipped with a sensor system that provides accurate results every time even in humid areas also. The device runs on a battery and consumes a limited amount of power. Hence the battery doesn’t get exhausted very often. Its stylish look adds a great charm to your kitchen. This electronic kitchen weighing scale from Generic comes to the next line of our best picks of digital kitchen scales. It comes with a large round stainless steel washable tray for repetitive cleaning. This digital scale has a maximum weighing capacity of 10 kg and is accurate up to 1 g. It is a highly precise weighing scale. This digital kitchen scale is battery operated and very easy to use. It has an LCD backlit display for easy reading and also has an overload and battery low indicator. So if you want a highly reliable weighing scale in your kitchen, this one will be the best choice. This digital kitchen weighing scale from MCP is an ideal choice for all your concern about weighing ingredients precisely and accurately. It comes with a large display window that displays the resultant weight in clear digital numerals. You don’t need to convert the units of measurement for various ingredients, as you can easily select the unit of measurement from g, kg, oz, and lb as per your recipe. This battery-operated weighing scale is made from plastic and is designed to weigh ingredients up to a capacity of 7 Kg. The best is its tare function that lets you reset the scale to zero after placing an empty container, so the resultant weight displayed is only that of the ingredient that you actually want to weigh. Do you want a highly convenient and functional kitchen weighing scale, Japp Electronic digital kitchen scale must be the best choice. This useful kitchen scale is a professional scale specially designed for kitchen use with a washable tray for regular cleaning. This machine is featured with the splash-proof design, so the precise weighing is ensured even under high humidity conditions. 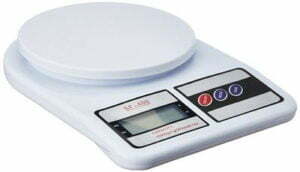 This accurate kitchen weighing machine is battery operated and also very easy to use. There comes a wide LCD screen display along with high accuracy stain gauge system to make sure more precise weighing results. 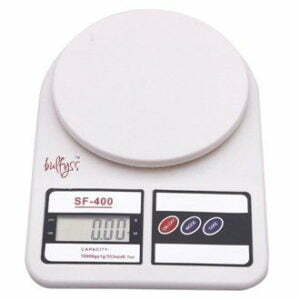 The maximum weighing capacity of this weighing scale is about 10 kg. The other smart features include buttons for tare function, on/off and mode settings. There is also overload and low battery indication system. This is all about our best picks of the digital kitchen scales of 2018. Make the mouth-watering recipes just perfect by choosing one of the models mentioned above. 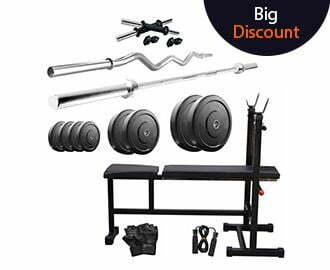 Also, the price for each model is very reasonable and pocket-friendly that you can easily afford. And do share your comments if you feel anything is missing.